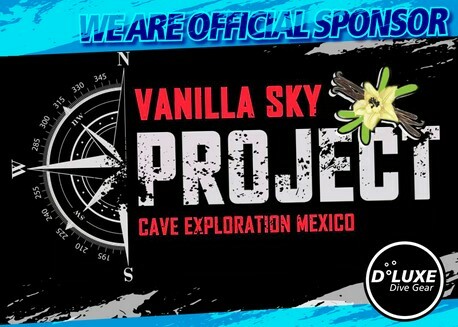 We are very proud to say that D°LUXE Dive Gear is an official sponsor of The Vanilla Sky Project 2017 in Mexico. The Exploration-Team use our Tank-Straps on 80 Cuft Alu Cylinders in open circuit and also on their bailout cylinders with closed circuit rebreather. Toddy Wälde, from the ProTec Sardinia Advanced Training Facility and his team are thrilled by the stability, robustness and reliability. We wish all divers good luck and always good air. Stay tuned for the new official GoPro video and a lot of nice pictures straight out Yucatan.